Muhammad Samad was born in a remote village in 1956 in the Jamalpur District of Bangladesh. He earned his Bachelor of Social Science (BSS) with honors and master’s degrees in Social Welfare (mostly known as Social Work) from the Institute of Social Welfare and Research (ISWR), University of Dhaka, Bangladesh. He completed his PhD on the participation of the rural poor in development programs of government and NGOs in Bangladesh. Muhammad Samad has been writing poems since his school days. The first book of his verses Ekjan Rajnaitik Netar Menifesto (Manifesto of a Political Leader) was published in 1983 and won the Trivuj Literary Award in the same year among the young poets aged 25 years in Bangladesh. His other published books of verses are Selected Poems (bi-lingual), Premer Kabita (Love Poems) Kabitasangraha (Selected Collection of Poems), Aaj Sharter Akashe Purnima (The Full Moon in the Autumn Sky) Cholo, Tumi Bristite Bhiji (Let Us Be Drenched in Torrential Rain), Podabe Chandan Kaath (Will Burn Sandal Wood) Ami Noi Indrajit Megher Adale (I am not Indrajit Behind the Clouds) and Utsaber Kabita (Poems From Festival ed. Bengali poems rendered in the National Poetry Festival). He has received number of awards for his contribution to Bengali poetry and literature that made him widely known and honored. Among them are Poet Jasimuddin Literary Award, Poet Jibanananda Das Award and the Poet Sukanta Literary Award. His poetry eloquently addresses the love, pain, plight and human life in many faces of the people of Bangladesh as well as other societies of the world. 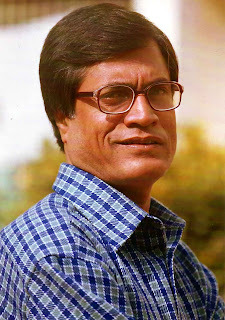 He has served as General Secretary of National Poetry of Bangladesh for 5 years (1997-2001). in the field of social science and development. Highlights include The Invisible People: Poverty and Resiliency in the Dhaka Slums (2008; Jointly with Dr. Cathleen Jo Faruque), PublishAmerica, Baltimore, USA, Participation of the Rural Poor in Government and NGO Programs: A Comparative Study (2002), Awareness About the Role of UN in Bangladesh: An Opinion Survey (2000), The Santal Community in Bangladesh: Problems and Prospects (2003; Jointly), Human Rights: 50 Years of Advancement 1999, (Ed. in Bengali), The Fourth World Conference on Women: Beijing Declaration and Platform of Action (Ed. 1997 in Bengali), Role of NGOs in Rural Poverty Alleviation of Bangladesh (1984, in Bengali) and The Struggle of Poets and Poems (A collection essays ed. in Bengali, 1994). In 2005 Dr. Samad has taught the course Globalization of Social Welfare as a visiting Professor at the Department of Social Work of Winona State University (WSU), Minnesota, USA. This summer (2009), he will teach the same course at WSU. He has worked as a Fellow of Katherine A. Kendall Institute of International Social Work Education, CSWE, USA in 2009. In Bangladesh, he teaches Social Development, Rural Development and International Social Work at his school. Dr. Samad has been serving as Secretary General of Bangladesh Council for Social Work Education (BCSWE) since 2007. He has visited India, Nepal, South Korea, United Kingdom and United State of America on invitation as poet and academic.